Online Leave Management: Make Leave Transactions Quick than Ever! Home » Online Leave Management: Make Leave Transactions Quick than Ever! » Blog » Online Leave Management: Make Leave Transactions Quick than Ever! Here’s an incident that inspired me to write about an online leave application system and how managers can make best use of this tool. I manage a team of 5 people. Last month, we had an important project, and unfortunately, we missed on our first project delivery deadline. I was taken by surprise when one of my team members didn’t show up at work for 3 days. Later, I recalled that I had already approved her leave two weeks ago. Am I the only one who got stuck in such a situation? Certainly not! Managing leave requests and leave balances is a time-consuming task. When managers wear many hats, it is obvious that few things slip through. Compliance with company’s leave policy must be ensured as well as resources should be made available for business continuity. According to a 2014 SHRM/Kronos survey, employee paid absences cost employers between 20.9% to 22.1% of the total payroll. Besides the added workload that colleagues take on, absenteeism impacts the overall team performance and the company’s profit margins, morale and other factors. 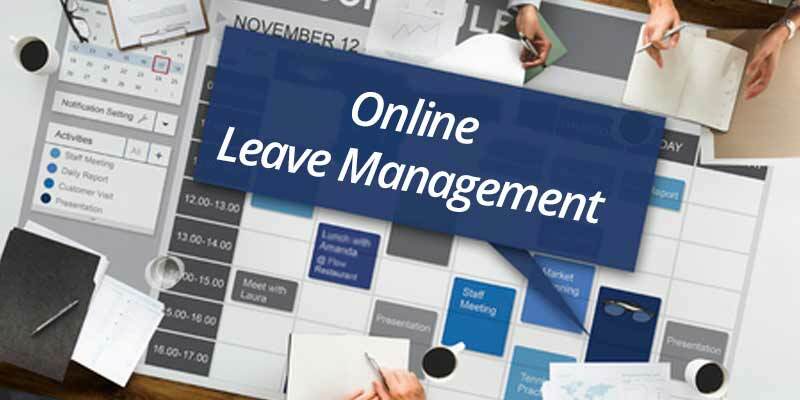 An online leave application system gives a platform to the employees, managers and HR to seamlessly manage leave requests and approvals, thus adding value by streamlining the organization’s leave data. Having full visibility on employee leave data and on staff availability enables managers and HR to continuously track employee absences and lessen the impact of absenteeism. A well-designed leave application system can remove the unnecessary strain on HR regarding employee leave balance queries, can store necessary employee information, setup company leave policy, show leave status of team members, and manage employee leave balance, and overtime. decision making on leave approval or rejection remains a single-step process. accurate leave transaction information is accessed instantly. managers can view employee leave patterns and take suitable actions in resource planning. leave management becomes more transparent with necessary information, such as employee leave history and leave balances. leave compliance issues and excessive absenteeism are prevented. Employees can submit and view data on recent leave requests, their status, and leave balances. Dashboard gives an overview of the leaves & attendance of their team members. Managers can identify staff availability and make informed decisions while approving leave requests. View leave records, transactions and balances for all employees. Refer to our previous blog, Employee Leave Trends: 1.75 Million+ Records Analyzed From 250+ Businesses, to find out how Empxtrack analytics team has studied the various leave trends and made recommendations for businesses to manage employee leave well.